9 images. 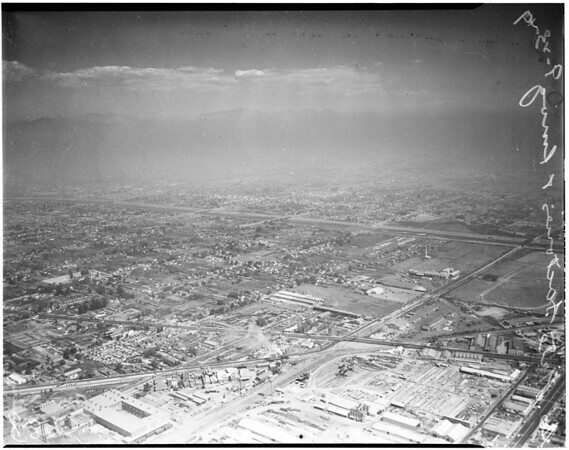 Air views of smog over Los Angeles area, 23 September 1949. (Sleeve reads: 8395 now 9593).